Burger Law is a winning group of proven, zealous trial lawyers who will put our experience and expertise to work for you to win the most compensation possible in your claim. 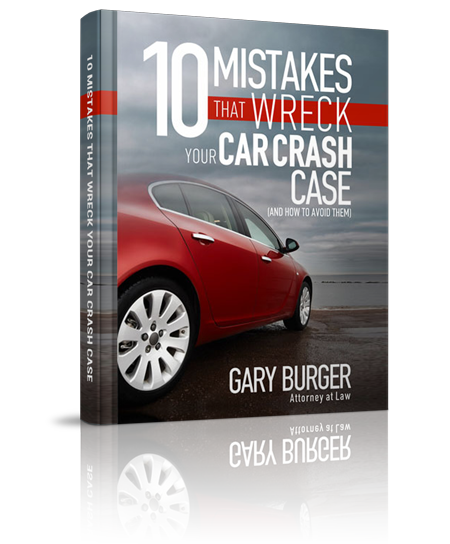 As St. Louis personal injury attorneys, Gary Burger and the lawyers at Burger Law see careless defendants cause car accidents, break safety rules, have unsafe property, and injure our neighbors. So we sue drunk drivers, car and truck drivers who violate the rules of the road, employers who do not compensate for work injuries, companies that make dangerous products, unsafe property owners and medical providers who hurt their patients. Burger Law Firm is comprised of St. Louis area personal injury attorneys who have won awards for their expertise and results from the Multi-Million Dollar Advocates Forum, Top 100 Trial Lawyer Award, AV rated, the preeminent ranking of attorneys in ability and ethics, SuperLawyers and are Board Certified in Civil Litigation. Click here for more qualifications and here for our personal injury successes. Call us today at (314) 542-2222, email at [email protected] or fill out our free consultation form to speak with Gary or another attorney at Burger Law for a free consultation about your case.